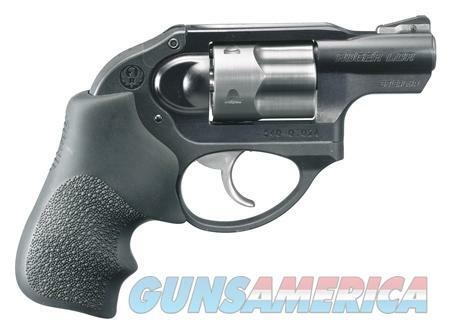 Description: Ruger Model LCR Lightweight Compact Revolver .38 Special +P 1.875 Inch Barrel Matte Black Aluminum Frame 5 Rounds Model LCR Lightweight Compact Revolver - LCR- small frame revolver with a smooth easy to control trigger and highly manageable recoil. Friction reducing Cam. Polymer fire control housing. Hogue Tamer grip High-strength 400 series stainless steel cylinder is extensively fluted reducing weight and Replaceable pinned ramp front and U-notch integral rear sights. Includes soft case.